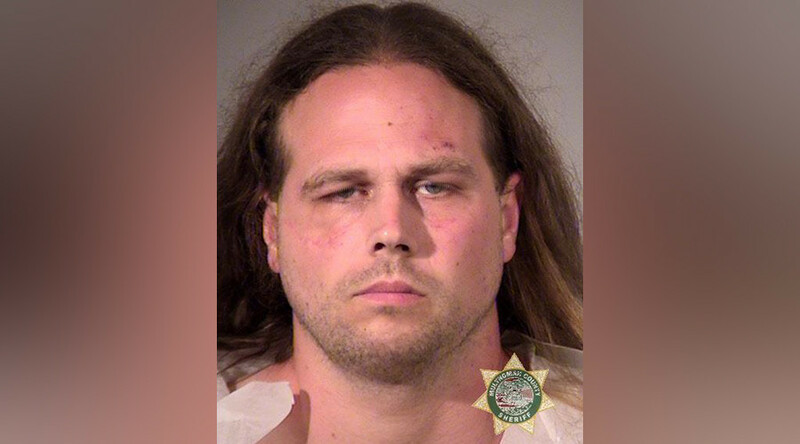 Two people were stabbed to death and another person sustained injuries when they attempted to diffuse an Islamophobic attack against two women on board a local commuter train in Portland, Oregon Friday. Officers responded to reports of a stabbing on a MAX train at the Hollywood Transit Station at 4:30pm local time. One man died at the scene and another was taken to the hospital where he was later pronounced dead. A third victim sustained injuries in the attack, but they are not believed to be life-threatening, according to a police statement. Suspect Jeremy Joseph Christian, 35, of North Portland fled the scene but was quickly arrested by officers. He has been charged with two counts of aggravated murder, one count of attempted murder, two counts of intimidation in the second degree, and one charge of being a felon in possession of a restricted weapon. He is being held without bail and will be arraigned Monday, and may face additional charges. Christian initially received medical treatment before being handed over to investigating homicide detectives. Two women were targeted in the initial verbal attack, and one was reportedly wearing a hijab according to eyewitness statements made to police. Once an autopsy has been carried out on the two deceased men, all three victims will be named. Oregon Senator Jeff Merkley expressed his outrage at the incident on Twitter.